As I noted last week, some members of the Tunisian government seem to be taking a harder line against religious extremism. 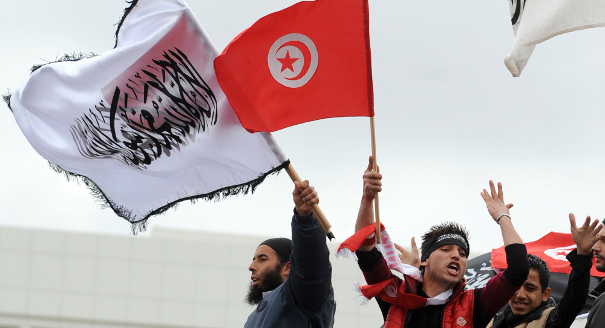 The latest example comes from Tunisian President Moncef Marzouki, who spoke yesterday in a ceremony honoring two women who stood up to a group of Salafists who had dishonored Tunisia’s flag. Tunisian President Marzouki warned fundamentalists Monday against any attempt to destabilize the country or to use violence for ideological reasons, a clear allusion to Salafists, whose activity has increased as of late. 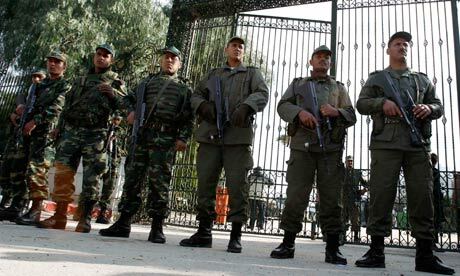 “It will not be tolerated for anyone to impose his views by force, to treat others people as apostates (infidels), or to harm Tunisian citizens for ideological or political beliefs of any kind,” he warned. Marzouki’s speech was aimed at calming criticism that the government has been unwilling to condemn acts committed by religious fundamentalists in recent months, a common complaint by secularists in Tunisia.